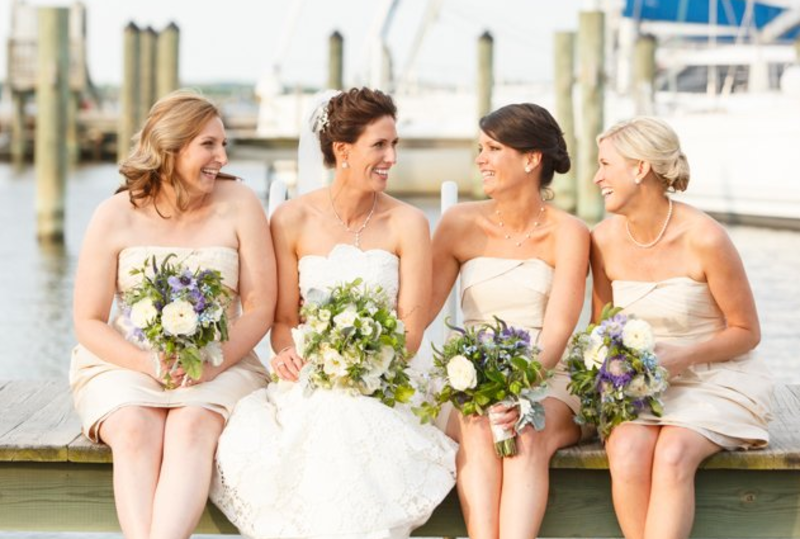 The Annapolis Maritime Museum is the ultimate venue for a charming waterfront wedding, with the best view of the Chesapeake Bay in Annapolis. The docks, piers, expansive waterfront deck and beachfront are all perfect locations for wedding photos that will be cherished for years. The deck, complete with customized tent with retractable clear sides is ideal for a wedding ceremony, bridal shower, or cocktail hour. 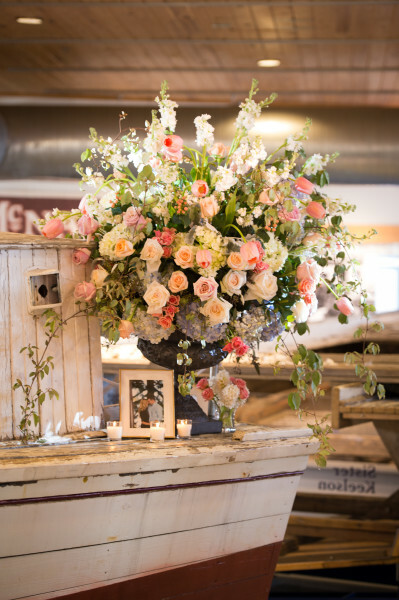 The Bay Room is an exceptional space easily configured for sit down or buffet style dinners and the Exhibit Gallery entertains guests with the display of an original wooden oyster boat and other artifacts highlighting the rich maritime history of Annapolis. Water taxi service from City Dock to the Maritime Museum makes it easy for guests to arrive by water and, for the landlubbers, parking is available close to the Museum. Guests can also arrive on their own boats and tie up at the Museum’s docks which are included in the venue rental. The Museum offers a unique setting that reflects the day you have always dreamed of having. Our on-site Venue Manager can guide you in finding the caterers and vendors who can plan a wedding that represents your own taste and style. 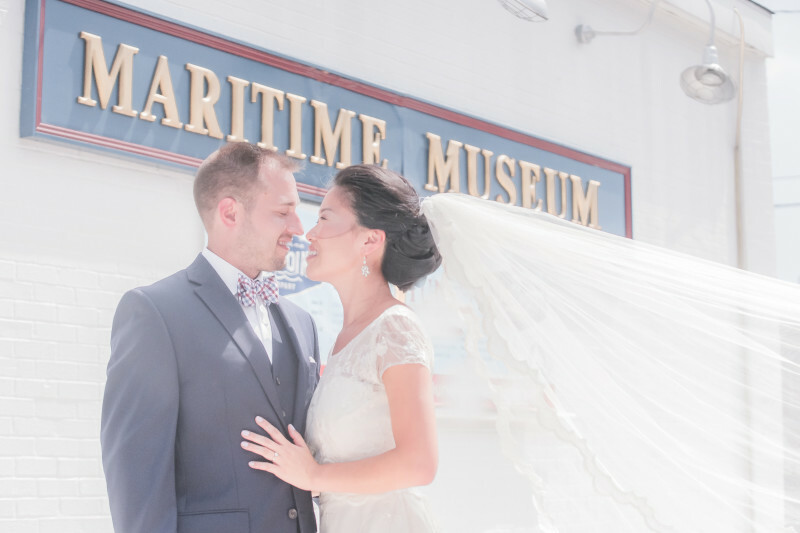 From nautical to romantic, rustic to chic, or anything in between, the Museum is the perfect starting point for your dream wedding. Minutes from City Dock in Annapolis, Annapolis Maritime Museum is close to the Annapolis Waterfront Marriott and all the charm of the historic waterfront town. The Maritime Museum building, which was originally the last oyster canning facility in Annapolis, mirrors the nautical ambiance that makes Annapolis a favorite destination for all ages. – Parking in nearby parking lots included on Saturday, Sunday, and weekdays after 5 p.m.